The Yamaha DXR8 Active Loudspeaker offer superb high-definition sound and class-leading sound pressure levels in a compact and functional de.. The Yamaha DXR8 Active Loudspeaker offer superb high-definition sound and class-leading sound pressure levels in a compact and functional design. 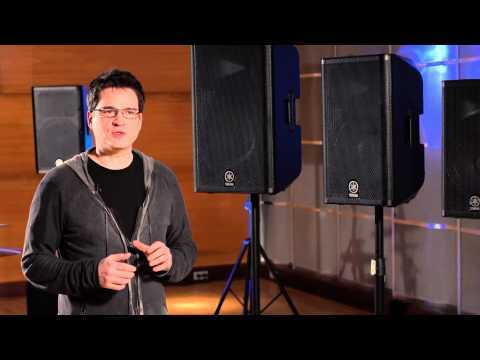 The DXR 8 is ideal for solo performers, duets and small venue installation where portability and versatility are key. In collaboration with French loudspeaker giant NEXO, the DXR8 has been designed for use in environments where audio quality is essential; perfect for front-of-house sound, simple amplification, installations, rigged applications and more. Yamaha's next-generation high-efficiency Class-D power amplifiers deliver extremely high output levels, with very low distortion and incredibly natural sound from their compact and lightweight modules. Combined with rugged, non-resonant enclosures, custom designed high power handling transducers and formidable DSP, each speaker delivers class-leading SPL while retaining all the precise dynamics and clarity of the original sound. Yamaha ultilize their proprietary 48bit Digital Signal Processing, fully customized, premium-grade transducers and extremely accurate constant directivity horn, each full-range model is designed to ensure that the entire audience enjoys the same crystal-clear highs, throbbing bass and focused mids. Yamaha's mastery of DSP utilization extends beyond sonic control, offering total management of the ongoing signal inside the system. Tour-proven, fail-safe protection functions ensure that the power supply, power amplifier and transducers all perform at their maximum potential even after extended durations of usage in the most severe conditions. Housed in sturdy, road-tested enclosures with heavy-duty steel grilles, each speaker promises enduring reliability you can count on.